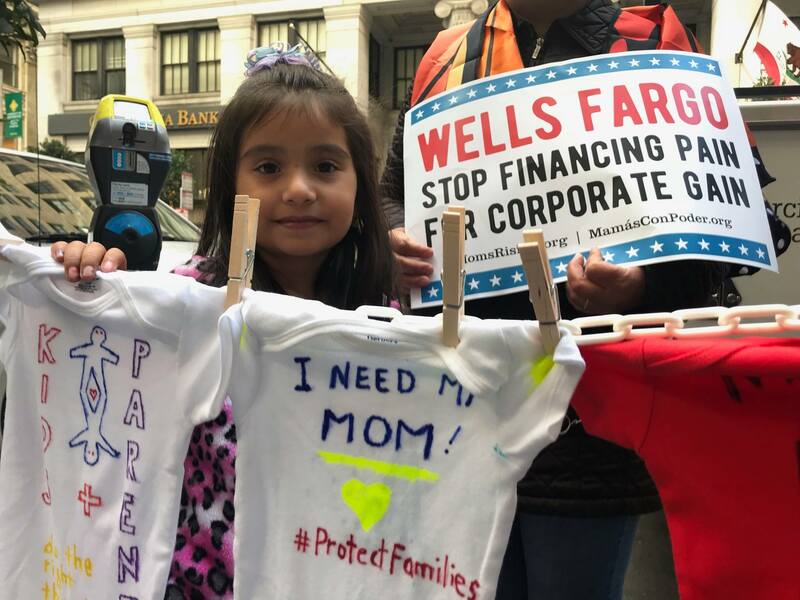 MomsRising.org | Interested in dropping off a letter to your local Wells Fargo or JPMorgan Chase bank branch on February 14? Interested in dropping off a letter to your local Wells Fargo or JPMorgan Chase bank branch on February 14? Sign on and we’ll email you everything you need to do a drop off. It only takes a few minutes, it will make a big impact, and is urgently needed. Whether for storing sticky snacks, toy race cars, or holding our leaders accountable, moms know the power of the purse. Now let’s also use the power of our consumer voices to cut off the corporate money behind Trump’s unconscionable immigration policies! There can be no business in abuse. Join us in urging Wells Fargo and JPMorgan Chase to stop financing GeoGroup and Core Civic. *Sign on here to let us know you’re interested in dropping off a letter, to your local Wells Fargo or JPMorgan Chase bank branch on Valentine's Day, urging them to stop financing Geo Group and Core Civic. We’ll email you all the information you need after you sign on as interested.